Product contains egg, milk, soy, wheat, peanuts, and tree nuts (pecans, almonds, coconut, cashews, walnuts). 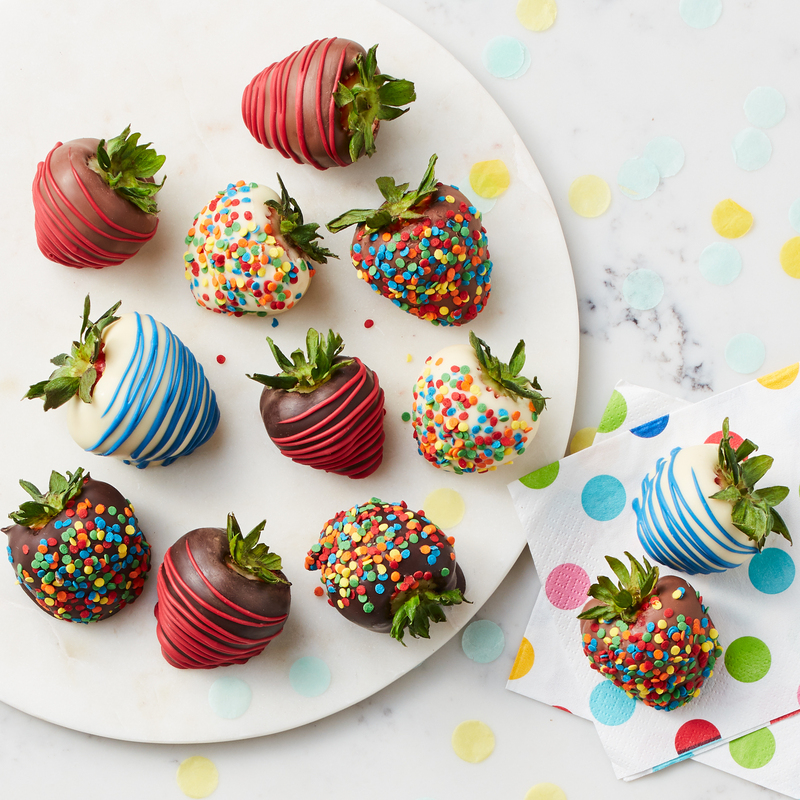 These dipped strawberries are bright, delicious, and perfect to wish someone special a happy birthday! This gift box contains twelve assorted dark, milk, and white chocolate dipped strawberries decorated with festive sprinkles and confections.